Arkansas is called “The Natural State” and it lives up to its nickname, playing host to numerous natural wonders and a myriad of geological points of interest. The state enjoys a relatively mild climate with cold, but brief winters and hot, humid summers. It serves as an ideal place for outdoor recreation and exploration for all ages. Arkansas is also a place of historical significance and offers many museums and monuments for groups to enjoy. Mildred B. Cooper Memorial Chapel– This awe-inspiring glass and steel church sits among the trees overlooking Lake Norwood in Bella Vista, Arizona. Christian Park Tours- The Arkansas State parks over faith-based tours of many parks including Mount Nebo State Park, The Falls at Lake Catherine State Park and Petit Jean State Park. The Great Passion Play– Billed as “America’s Number One Attended Outdoor Drama,” the passion play in Eureka Springs, Arkansas has been running for 50 years. Greers Ferry Lake– Take a trek up to the top of Sugar Loaf Mountain which sits on an island in the middle of the lake and offers stunning views of the surrounding area. 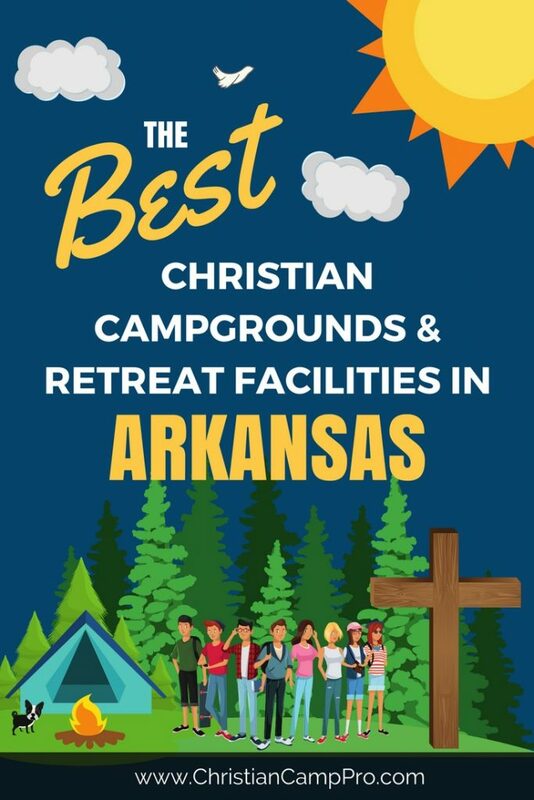 Arkansas is a wonderful location for Christian groups looking for youth camps or adult retreats. The vast array of natural spectacles provides boundless opportunities for exploration and adventure. Rich in raw beauty and historical importance, Arkansas is a state that offers enjoyment for every taste and preference.